New Hampshire criminal law makes it illegal to resist arrest. This crime is defined in RSA 642:2 and prohibits knowingly or purposely resisting arrest or detention by a law enforcement officer (this includes, state police, local police and probation officers). It does not matter if the reason for the arrest or detention is valid. Even if a law enforcement officer is attempting to arrest someone for a crime they are later acquitted of, the resisting arrest charge could still be valid. Any amount of resistance, however slight, will constitute resisting arrest. That being said, verbal protestations alone will not be considered resisting arrest (although they could support a crime like criminal threatening, or disorderly conduct depending on what is said and the circumstances). Resisting arrest is a misdemeanor unless it causes serious bodily injury in which case it can be charged as a felony. 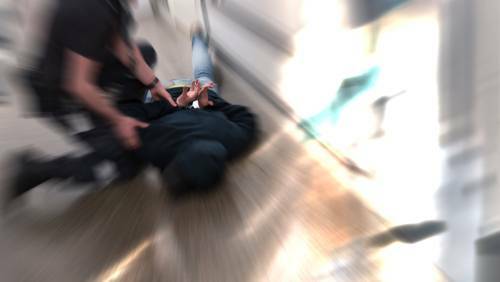 If you’ve been charged with resisting arrest, don’t wait — contact an attorney at Cohen & Winters today. Let’s discuss your case in a free consultation.